Angel here again bringing you a brilliant product! Purr… a MULTIPURPOSE PET CARRIER FOR VARIOUS SMALL ANIMALS: This pet carrier is particularly designed to carry pets up to 15lbs (6.8kg). And that includes cute little puppies, fluffy kittens and snugly white as the snow rabbits! For the more adventurous pet owners, the backpack can carry jungle green lizards and little piglets as well. The pet carrier measures 16?x 12?x 8? (41 x 30 x 21 cm) so make sure that your four legged friend will fit properly! NOT JUST A PET CARRIER BUT A RESOURCEFUL PET GADGET: Upon developing this pet carrier, the company thought about the needs of pet owners and how to make their life easier. Their carrier can be used as a backpack on the back or in the front. Great right? Plus, you can use it as on a car seat and place it on the back of your car and enjoy a nice trip to the woods. Being equipped with storage compartment for medicine, toys or leash makes it extremely handy and easy to use! AIRLINE APPROVED PORTABLE PET CARRIER WITH AN ERGONOMIC DESIGN: Do you travel by airplane or bus and you want to take your beloved pet with you? No more worries there! 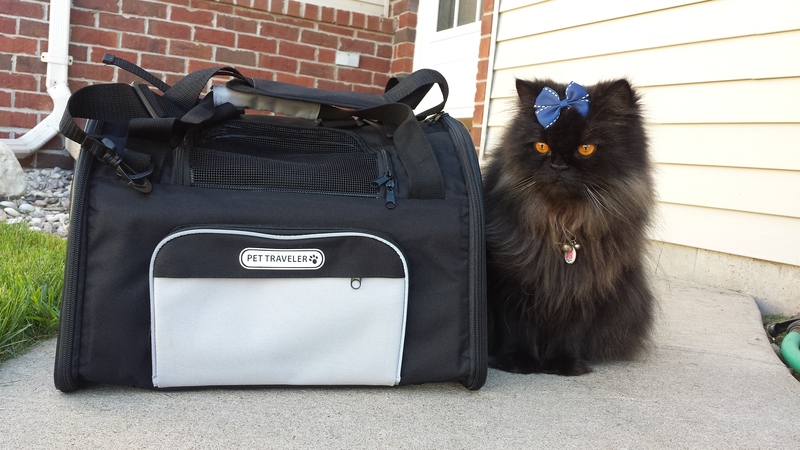 This pet carrier is compliant with most Airlines around the world and will facilitate your flight to the fullest. It bears big top windows that can be opened with a zipper so as to calm your pet if needed! Pure perfection, right? DURABLE & BREATHABLE CONSTRUCTION FOR EASY TRANSPORTATION: Do you find it difficult to carry your cute little kitty or puppy around? Do you need something effective yet modern to keep your kitty in order? 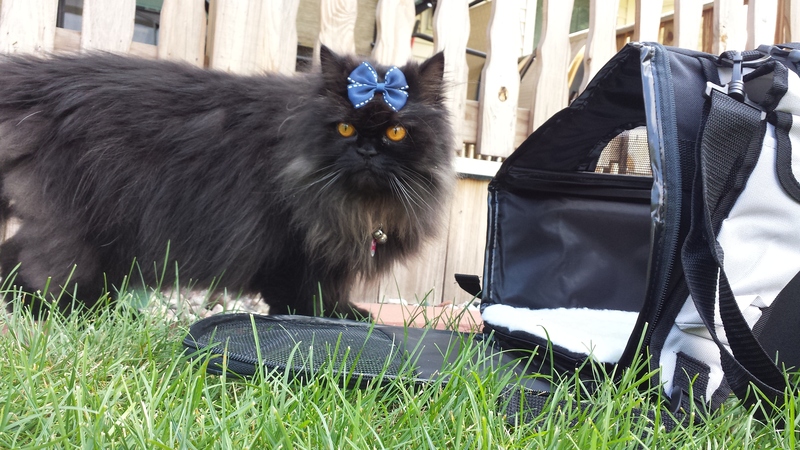 The search is over with their extra durable pet carrier! It’s highly breathable so as to keep your precious pet protected and safe! 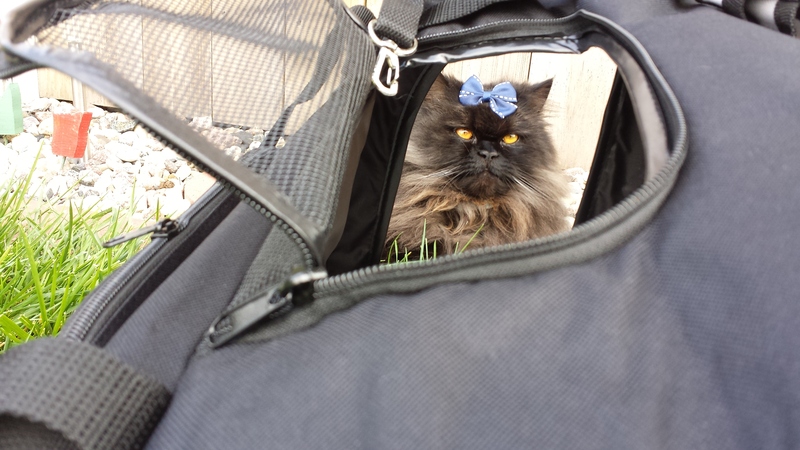 Made from resilient materials this pet carrier can guarantee hassle free pet transportation! Simply, put your small pet inside and take it to the vet! This is unique about this carrier you can carry your pet on your back it has backpack straps that are padded and as a bonus it has a pocket on the strap to hold a water bottle or treats. NOT JUST A PET CARRIER BUT A RESOURCEFUL PET GADGET: Upon developing this pet carrier, SOR Products thought about the needs of pet owners and how to make their life easier. Their carrier can be used as a backpack on the back or in the front. Great right? Plus, you can use it as a car seat and place it on the back of your car and enjoy a nice trip to the woods. Being equipped with storage compartment for medicine, toys or leash makes it extremely handy and easy to use! Thank you for stopping by I would love to hear from you so leave me a message. See you next week. This entry was posted in Accessory, Angel's Eyes, Giveaways, Product Reviews and tagged cat, cats, cute, katze, katzen, kawaii, ねこ, ﾈｺ, 猫. But a very nice alternative to the traditional cat carrier! It is good and ventilated carrier. A great tip to help your cats not get so nervous is let them play in the carriers and keep them out to play in so they think it’s a safe place. It’s really nice to know there is a good soft carrier that is airline compliant, sometimes the hard carriers are compliant but not practical on a crowded plane. Another great review Angel. Informative….but too ADORABLE not to reblog. What a gorgeous girl! Thank you .Keep watching this company is going to let us giveaway 3 carriers in a follow-up post in a few weeks. Love that carrier! And we’re looking for a new one too. We are going to giveaway 3 carriers in a few weeks so keep watching for it. What a lovely carrier, I really like it! It looks quite posh as well! Thank you for a great review and beautiful photos! Xxxxxx?????????? 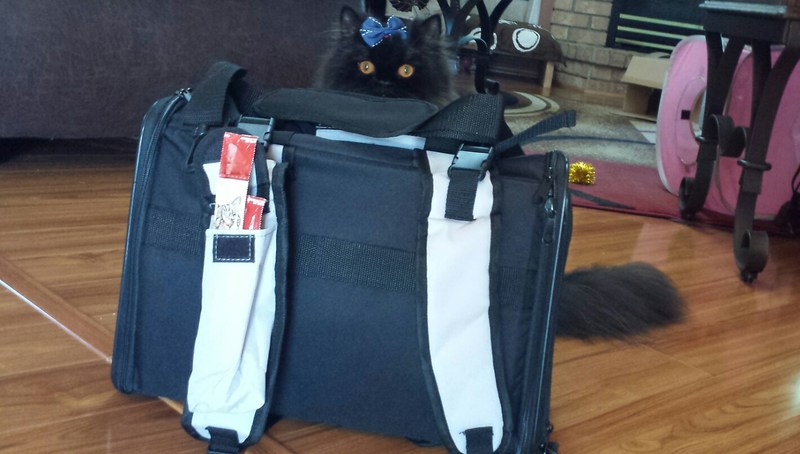 That looks like a nice carrier and you are a cutie. Most beautiful girl I’ve ever seen. I bet your guardian Angel takes good care of you, too. Thank you ? I do have a guardian Angel ?